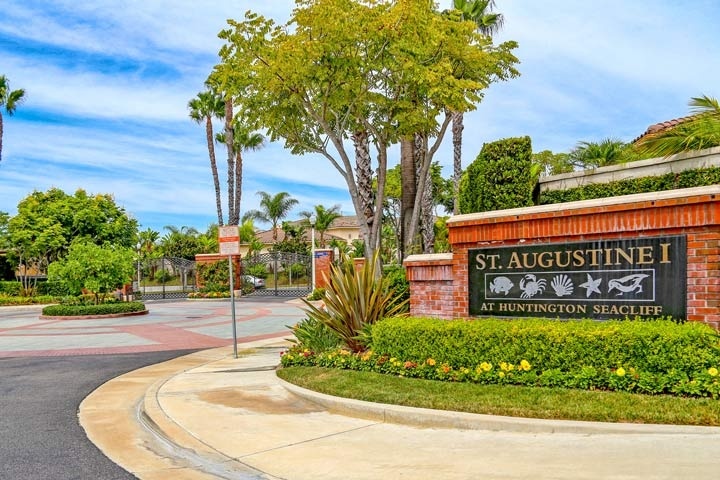 St. Augustine 1 homes are located in the West Huntington Beach area of Huntington Beach, California. St Augustine was originall built in 1998 and with two sections known as St. Augustine 1 and St. Augustine 2 communities. Each neighborhood has it's own gated entrance with large luxury homes. St. Austine 1 homes feature three to five bedroom homes that range in size from 1,786 to 3,00 square feet of living space. Below are the current St. Augustine 1 homes for sale and for lease in Huntington Beach. Please contact us at 888-990-7111 with questions regarding this community and any of the homes listed for sale here.